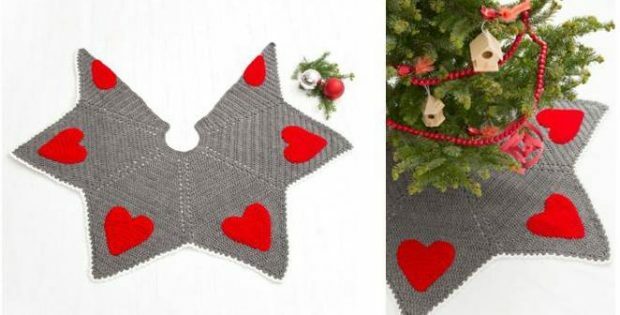 Brighten your home with this beautiful Holiday Hearts Crocheted Tree Skirt. Its versatility will leave you using it all year round! The tree skirt is designed for your Holiday tree but there are definitely other uses for it! You can use this crocheted piece as a bedside rug or a quirky table cover! In fact, this pattern is an ideal project for confident beginner crocheters. Once finished, the crocheted tree skirt should measure approximately 21 inches long and around 74.5 inches wide across the fullest width of each star point section. In metric measurements, the piece should have a length of around 53.5 cm and a width of approximately 189 cm. This charming crocheted tree skirt is another wonderful design by Michele Wilcox. In fact, you can access the FREE downloadable pattern for this beautifully crafted crochet item.